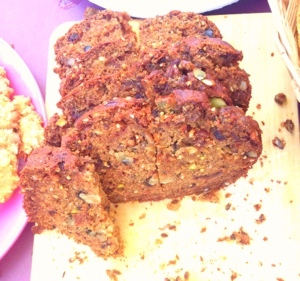 Carrot & date loaf with Kapai Puku. This moist loaf cake can be made easily with cupboard staples and the dates mean it stays gorgeously moist. I swapped out half the nuts for Kapai Puku for that extra seedy crunch. It went down a great at the picnic I was at. 2. Put butter, sugar, dates, allspice & a cup of cold water in a pot, heat gently until butter melts, then bring to the boil. 3. Once boiling remove from heat and add bicarb – it will foam up! Cool until skin temp. 4. Stir in eggs, carrot, and nuts & seeds. Then add flour. 5. Bake at 180c for 45-50 minutes until nicely darkened & toothpick comes out clean. 6. Cool in tin for 5 mins, then on wire rack until cool. If taking this to a picnic then slice once you’re at your destination. Transports well back in tin or just wrapped in paper & glad wrap. I recently did my first ever cooking class – with City East Community College. It was a half day class on “Middle Eastern Vegetarian Cooking” and it was delicious. 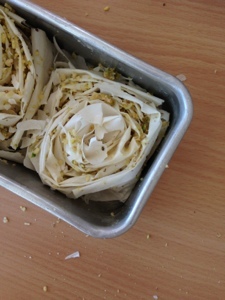 My favourite thing we made (apart from Za’atar) was the baklava – who knew it was so easy?! Made a batch at home the very next day. If you make a batch with half a pack of filo pastry then the other half can be spanakopita for 2-3 people, perfect amounts for me & my fella. We used about 1/2 a cup each of pistachios, blanched almonds and walnuts. I imagine you could adjust this to whatever you like. Use a food processor, or a spice grinder like I did to smash this up into coarse sand (or chunkier or smoother if you want). 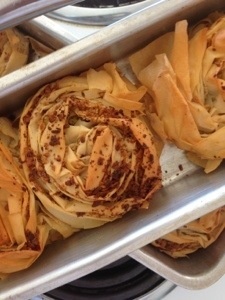 Work one sheet of filo at a time and make sure the others are covered so they don’t dry out. Brush your sheet with butter – a few lines should do, sprinkle a handful of the crushed nuts then working from one of the long ends scrunch it up so you end up with a long piece of pastry and nuts – folded a bit like a fan. 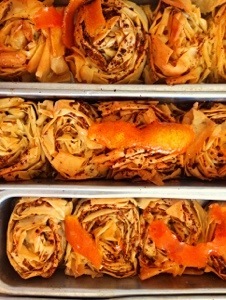 Then work from one end to roll it tightly into a spiral and place this into your baking tin. Once they are all done bake at 200c for around 20 minutes or until they are starting to colour nicely. Then drizzle over a few tablespoons of water and bake for another 5 minutes – this apparently ensures that the centres are cooked. While they are baking make the syrup. Combine sugar, citrus rind and the water in a pot over medium heat and stir to dissolve sugar, then reduce heat to low and simmer for about 20 minutes, should be syrupy but not caramel. Towards the end add the juice of about half a lemon and some drops of rosewater or orange blossom. Pull your golden little pastries out of the oven, pour over the syrup and let cool. Then eat them! They are not as sweet as many of the store bought ones, and have a lovely citrus note. 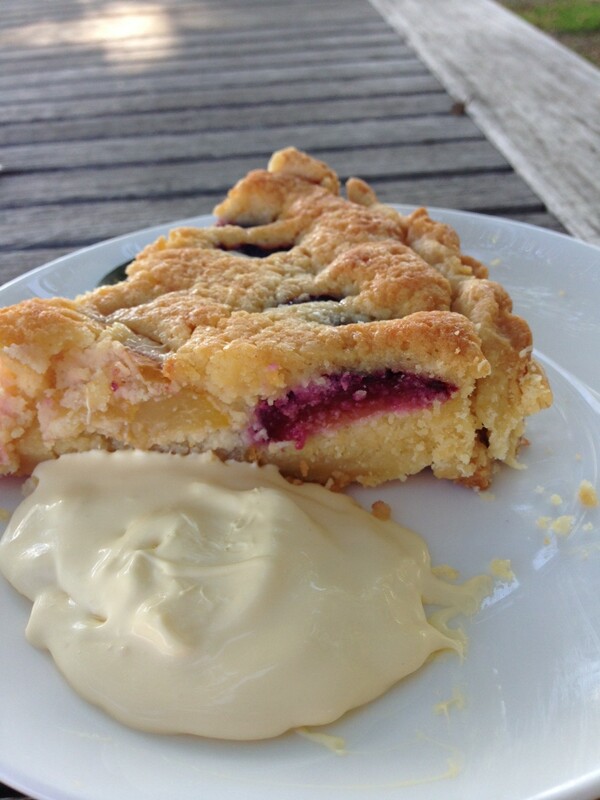 I adore frangipane and am wild for fruit pies and tarts – putting them together is a dangerous thing. This tart is incredibly simple and quite gorgeous looking, but takes a little while if you chill the pastry twice like you are supposed to. I should probably admit that it never gets two full chillings at my house, and still comes out just fine. This recipe is a version of the one on Simmer Boston. Plums – about 10 depending on size, not too ripe so they hold their shape. I used a mix of colours which was quite pretty. Whisk egg and water together in seperate bowl and add into stand mixer, mix on medium until a smooth dough. Wrap dough into ball in plastic wrap and chill for an hour or so or for as long as you can bear. Cream the butter and sugar together in a mixing bowl with your hand mixer (or use stand mixer again) until light and fluffy. Use a wooden spoon to fold in the almond meal ground almonds and flour. Cut plums in half to remove seeds, then slice into even segments – about 12 per plum is nice. Grease your tart tin, I used a rather unattractive bright green silicon one which I sprayed lightly with oil spray because I am lazy and YOLO. It worked just fine – I might be coming around to these silicon thingamajigs. Take dough out of fridge and place onto floured bench top and roll out so it would overlap edges of your tin. Transfer over with your rolling pin like the clever clogs you are. Patch up any holes with spare pastry. Oops! Then put back in fridge for half an hour or as long as you can bear. Have a cup of tea, and nibble on extra or wonky plums. Preheat oven to 200c, and assemble tart. 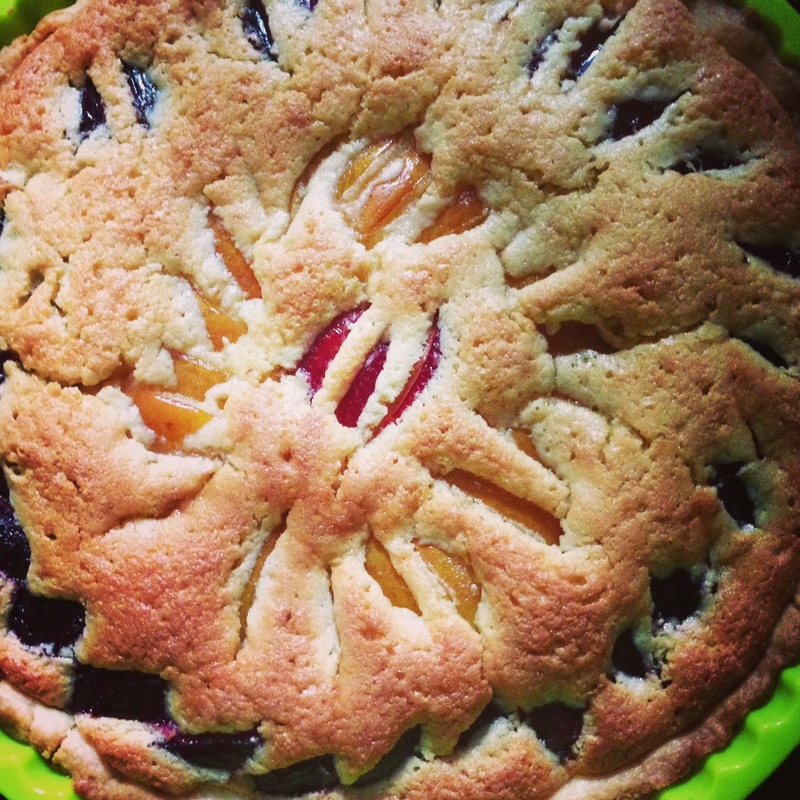 Pour frangipane into tart, stick plums into it in some semblance of a pattern. Bake at 200c for about 30 minutes – until it is nicely burnished on top. Serve hot or warm or cold (I prefer it cold) with some double cream.